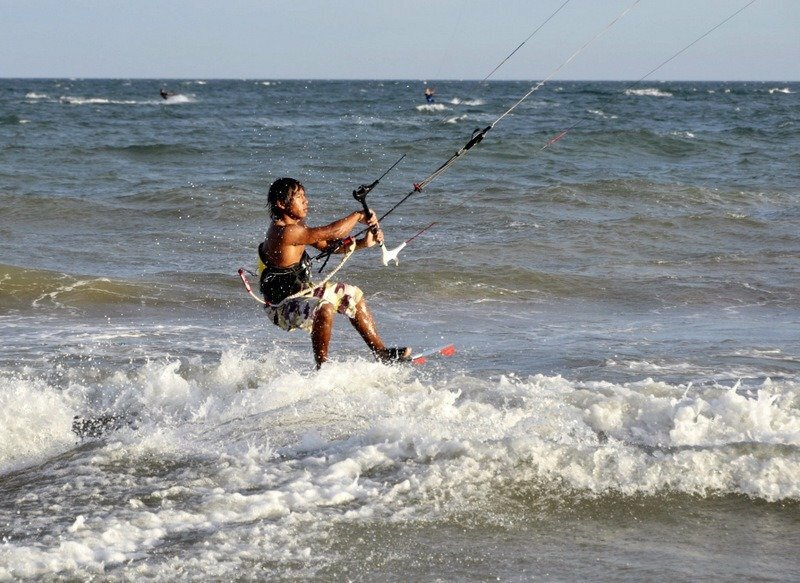 Mui Ne with its temperate micro-climate and 6k stretch of golden sand is Vietnam’s kite-surfing central and adrenalin hub. Surf’s up most days and although that brings with it a breeze its cooling and refreshing under a hot sun and vivid blue skies. 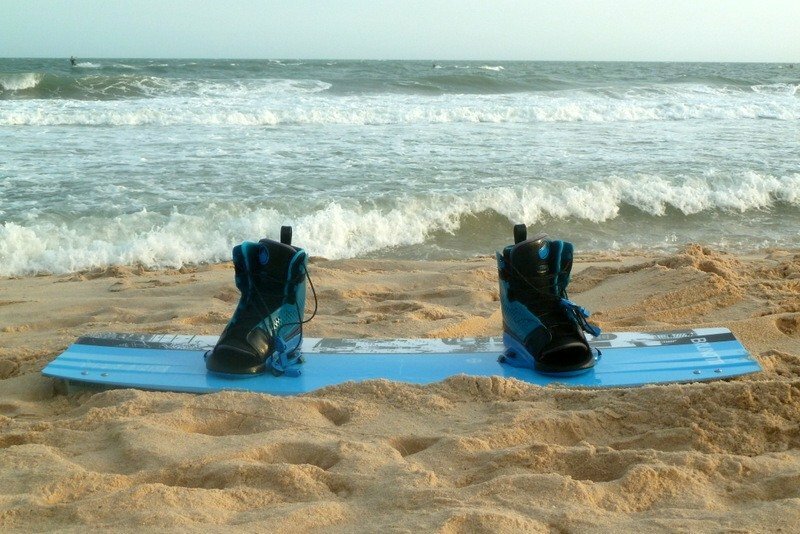 Perfect for a kite-surfing or surfing holiday. 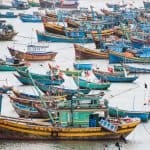 The fishing village at the end of the bay is authentic and colourful which means there’s also a surplus of fresh seafood and there’s some unusual sightseeing nearby too. 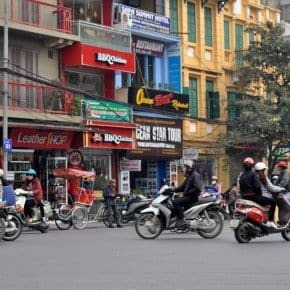 After a few days on Phu Quoc island and a couple of nights in Ho Chi Minh City for New Year we headed to Mui Ne to kick-back and chill. 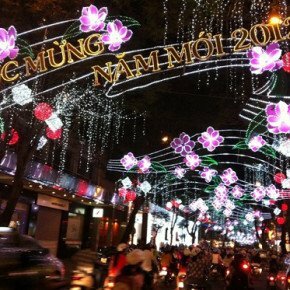 We wanted to stay in the south of the country because it can be chilly in north/central Vietnam in December/January. 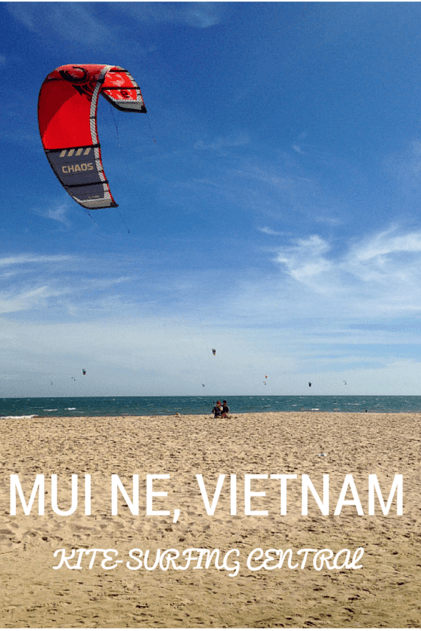 Our choice of Mui Ne in south-eastern Bình Thuận Province was based on its warmer temperatures, some interesting sightseeing and of course miles and miles of gorgeous sandy beach. 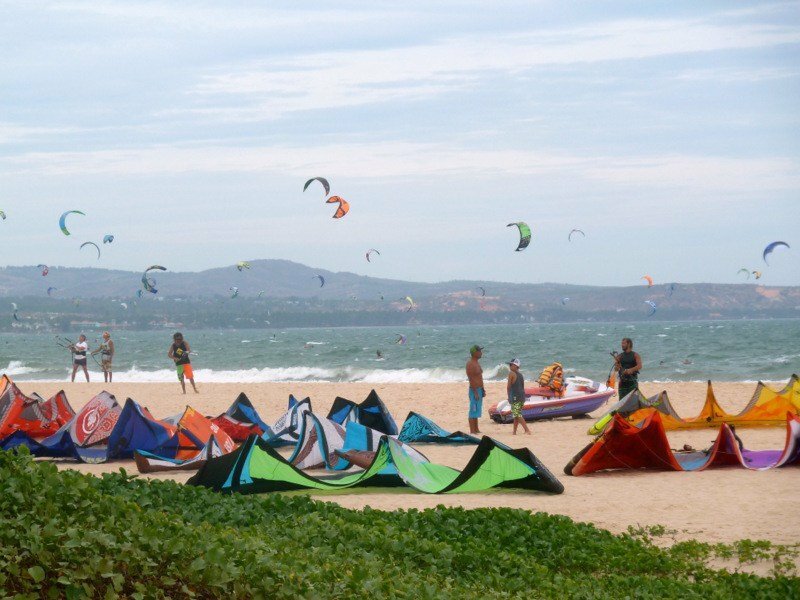 We knew kite-surfing in Mui Ne was big. But we didn’t realise how big or how fascinating it is to watch. 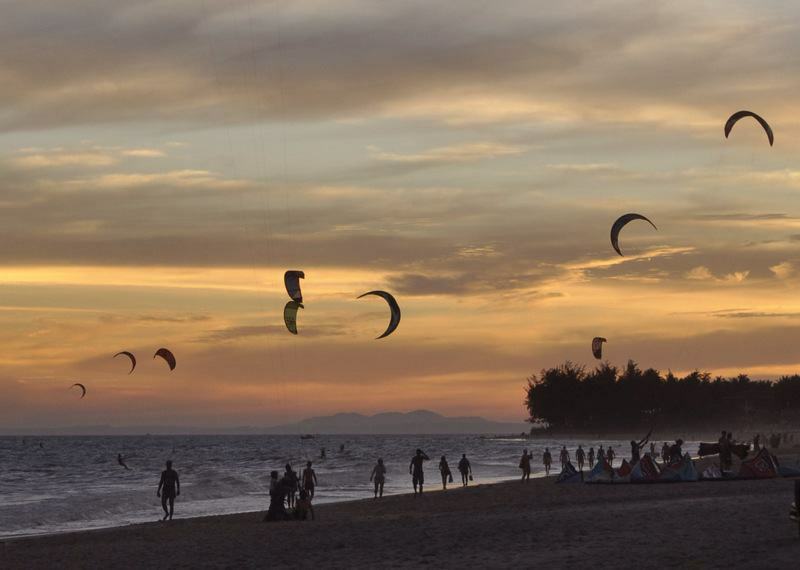 Turns out Mui Ne is the best place for kite-surfing in South East Asia so it’s where the wind-seekers head. On our first day on the beach I looked up from my book to see that hundreds of kite-surfers had appeared filling the sky with arcs of colour. Kites were dipping and diving in the breeze, their riders travelling through the water at break-neck speeds. It’s the most colourful beach I’ve ever fallen asleep on. Early morning it’s just like any other beach then at around 10.30 am the surfers start to appear and take to the waves. Before long the sky and sea are teeming with kites and they keep going until after sunset – until it’s too dark to surf any more. 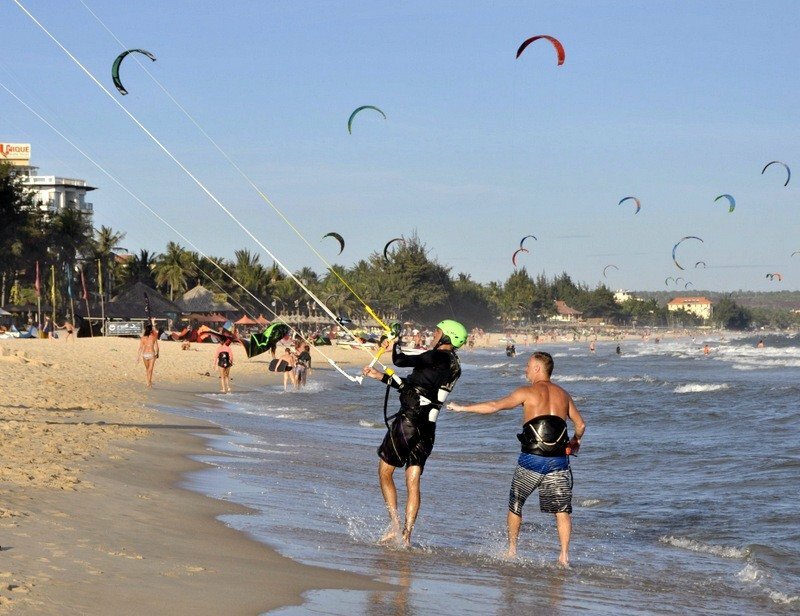 There are kite-surfing schools all along Mui Ne beach and we’d watch as beginners learned the ropes, progressing from standing with small kites before sitting in the sand as they got to grips with controlling the larger kites. The tutors would grip onto the pupil’s harness to stop the gusts of wind lifting them completely off the beach when the wind got up. The next stage is to control the kite standing up and then taking to the water for body dragging. The final step is the kite-surfing itself. 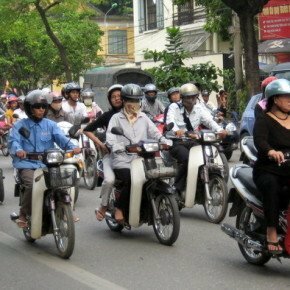 Safety is paramount and there are rules surrounding the sport which must be observed. Beach users, whether they are swimmers, walkers or paddlers have right of way at all times. 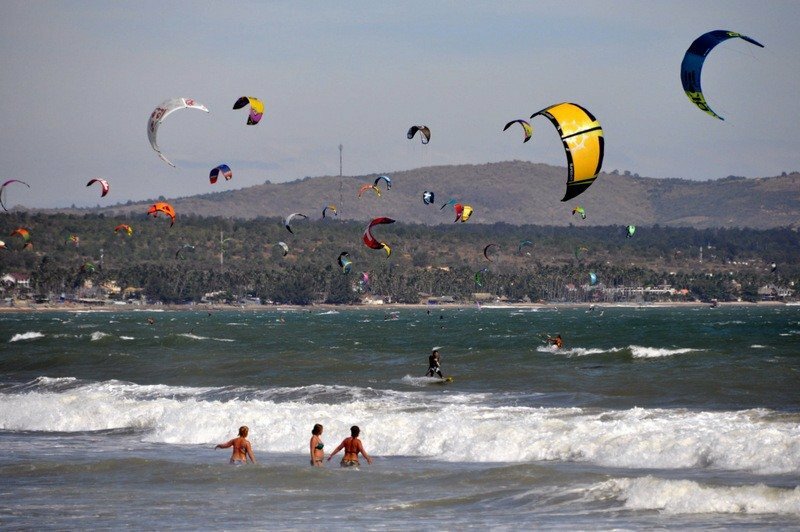 Despite all this I don’t know how we didn’t witness any collisions but Mui Ne, which is part of Phan Thiet Bay, is the safest of the surrounding beaches to learn to kite-surf. 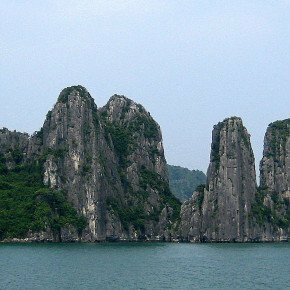 In high season, November – May, winds range from 10 to 20 knots getting gusty later in the afternoon. That’s when the real adrenalin junkies can be seen scudding across the surf. 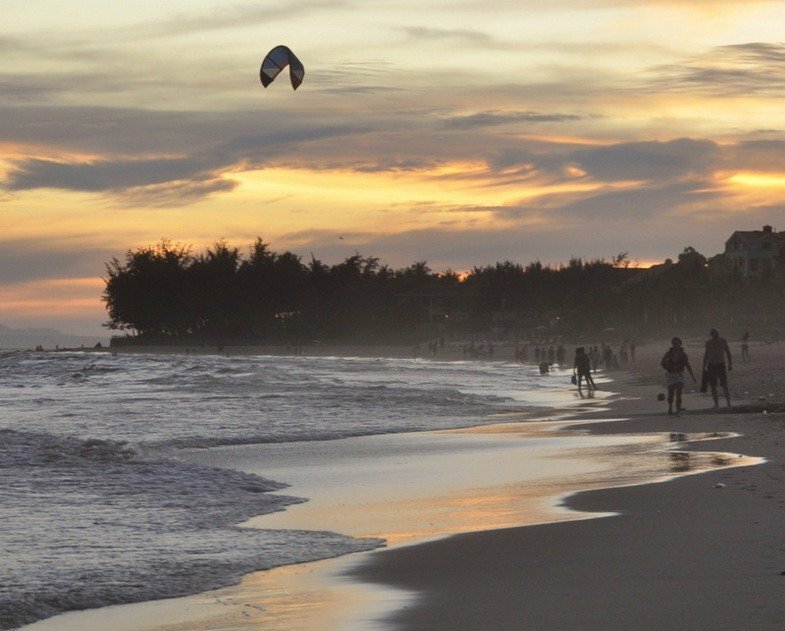 Most of the kite-surfing schools are Russian speaking, which hints at the resort’s main visitor base, but there are English-speaking schools too. Check out some of the flying kite-surfers in action on my You Tube video below. We felt the same but there were more nationalities further up towards the centre of Mui Ne where it wasn’t so intense. We didn’t hear another English accent all week! Wow, Suzanne … brilliant post – and I wonder how they manage to handle their kite with so many around. Love your boots shot – great capture. Amazing speed they get … great little video. Thank you Vivi – I could have watched them flying around all day – didn’t see one collision thankfully. 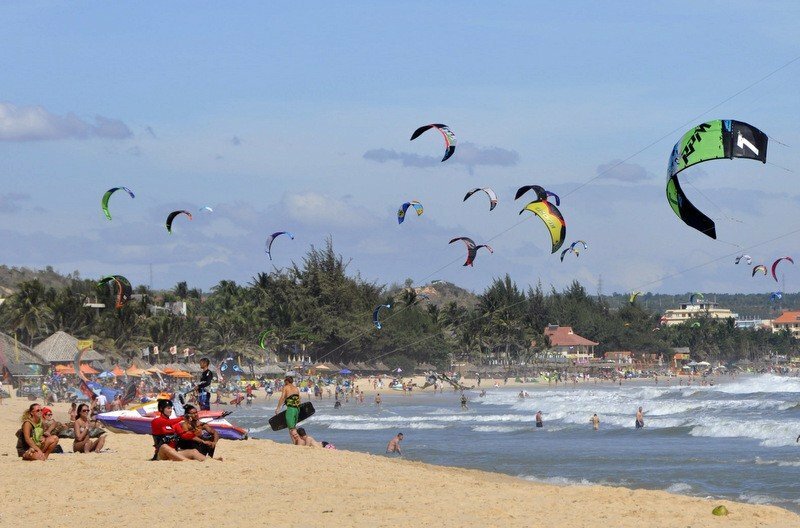 Mui Ne looks idyllic, I’m not sure that I’d try the kite surfing either but it looks fun to watch! Did you try out the kite-surfing Suzanne? I must admit I wouldn’t be brave enough to I don’t think! 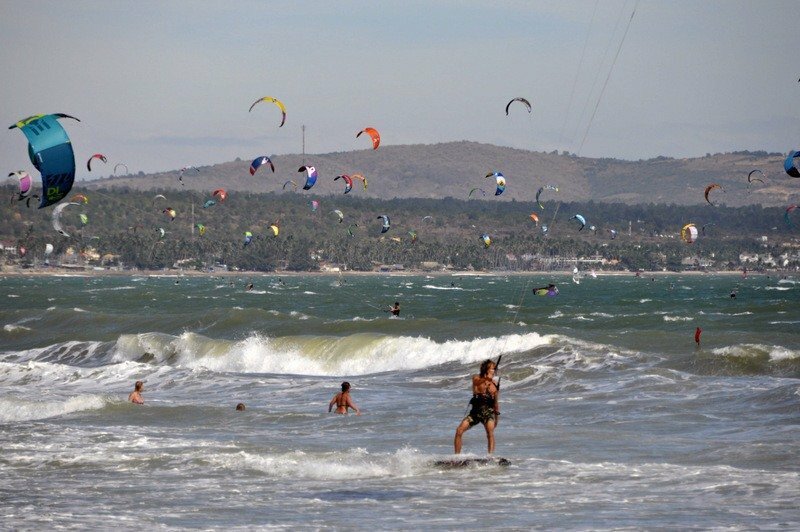 I’ve seen some lovely photos of Mui Ne before of the fishing boats along the coast etc but had no idea that it was big for kite surfing – must be quite a sight having a snooze and waking up to see a sky full of kites! Thank you 🙂 It’s true – the sight was spectacular and hard to do it justice.